It’s Thursday! Thursday means that it’s almost Friday, but more importantly, it means a good dose of awesomeness for us crowdSPRINGers. I’ve dug through the active projects on our site, and here are four of them that I think are pretty nifty. Check ’em out! The Breakdown: crowdSPRING buyer Taaj is a belly dance instructor who trains ladies to embrace their big, bad, belly dancing selves! As a badge of honor, Taaj wants to create “Belly Dancer in Training” shirts for her students to wear, which will eventually be featured on other apparel. Think out of the box, and help create the perfect t-shirt design for future belly dancing goddesses. 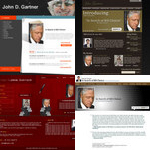 The Breakdown: New York Times-reviewed and award winning author John Gartner is seeking a new web design to promote his new book, “In Search of Bill Clinton: A Psychological Biography.” Gartner is looking for a clean, professional site to display this latest book along with his other releases. The buyer has been really active in providing feedback and updates, so web designers, this might be a project that piques your interest! The Breakdown: Jaho Coffee & Tea first sought out coffee bag packaging from crowdSPRING. 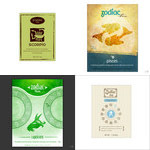 Now, the company is seeking package graphics – specifically, tea lables for their Zodiac tea line. The line features 12 different flavored teas paired appropriately by each zodiac sign, and they’re seeking a distinctive look that will catch the eyes of tea drinkers. My sign, Leo, is paired with a Masala Chai. Yummy. 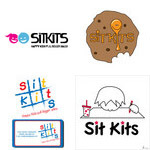 The Breakdown: Sit Kits is a company that creates crafts, games, and distractions to entertain children at restaurants. Parents know how hard it is to keep kids still while eating out, so these activities are a blessing for those who hope to eat their Pasta Alfredo (somewhat) in peace. The company is looking for a spiffy logo design that can be engraved, stamped, embroidered, and spread everywhere while conveying the message “Happy kids pull bigger sales!” to restaurants that really ought to buy sit kits. There you have it for this week, folks. That’s your Weekly Glance of Awesomeness! See you next week – same(ish) time, same place.